Xenon Gas is a user friendly, high performance shortboard that excels in wide variety of conditions. It provides the best ratio between performance, weight and durability. Traction pad and Xenon Thruster fins included. Xenon Gas is the best choice for those tho want to really surf with a kite! The construction of Gas takes what's the best from proven PU/Polyester surfboards construction and combines it with carbon and quadaxial fiberglass reinforcements required for kitesurfing. 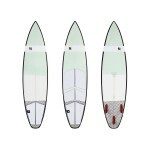 Medium to big size waves, strong, barrels, works perfect not only in clean sets but also in choppy conditions. 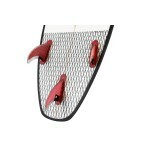 Thruster fin set up for tight "off the bottom" and "in the pocket" turns and fast redirection. Round squash tail for high response, lift and speed. High rocker line has been designed for faster, powerful waves. Significant kick tail for better snaps and release abilities. Thin rails ensure great control in bigger/better waves and help throw tons of spray. 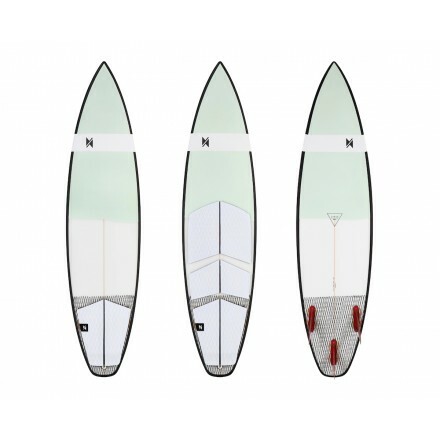 Full concave bottom profile for speed, planning and upwind abilities. EVA rear surf/kitesurf traction pad with a tail kick, front kitesurf traction pad, 3 honey comb FUTURE compatible surf fins.